Not everyone likes these guys, but I do. 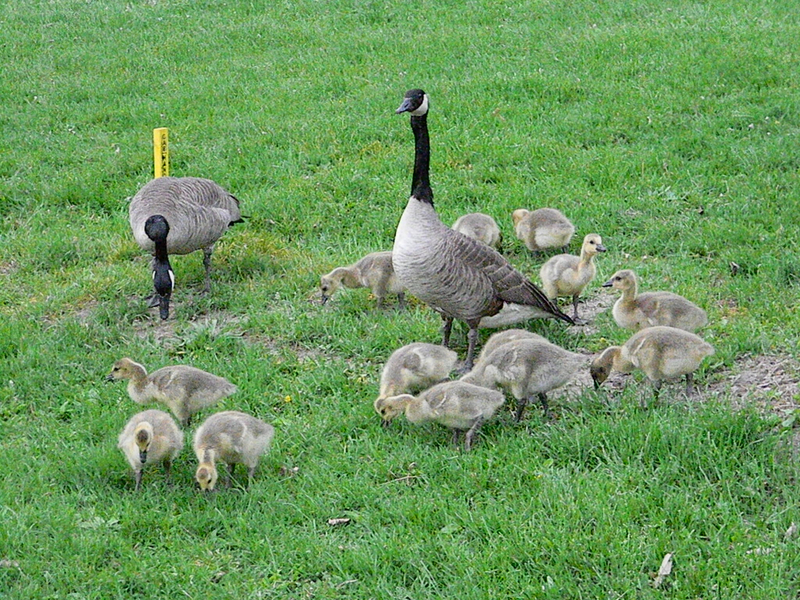 Hi everyone, welcome to gosling season. First, a bit of graduate student news: our own Rosalind Abdool was interviewed for the May 2013 issue of the newsletter Medical Ethics Advisor. Rosalind says, “I discuss the ethical concerns raised with medical schools searching for information about students from social media as part of the admission process for both medical students and residents. I further discuss the responsibilities of applicants and encourages caution be used when participating in various social media forums.” Check it out. Exciting news from Shannon Dea — her paper, “A Harm Reduction Approach to Abortion,” was selected as the best paper by a tenured prof on the CPA program! Shannon says, “this means that I’ll get to present the paper at a plenary session just preceding the Founders Lecture on June 3. It worth noting that this is brand new research for me, and that I probably wouldn’t have written the paper (yet) if it hadn’t been for the inspiration and impetus provided by Doreen Fraser’s lunchtime works-in-progress series in the department.” Congratulations, Shannon! 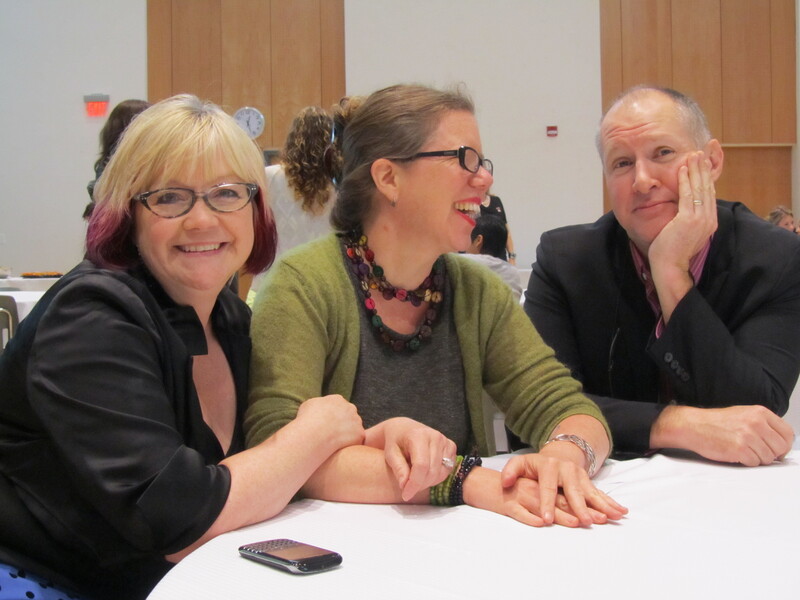 Angie Murie (Executive Director of Planned Parenthood Waterloo Region, and one of Shannon’s nominators) together with Shannon Dea and Tim Kenyon at Shannon’s award ceremony. Rosalind also writes with a PGSA update: the Philosophy Graduate Students’ Association was extremely pleased to take Debbie Dietrich, the philosophy department’s Graduate Coordinator, out for lunch last Tuesday to the Grad House as only a very small token of appreciation for all the incredible support and assistance Debbie constantly provides to the graduate students. 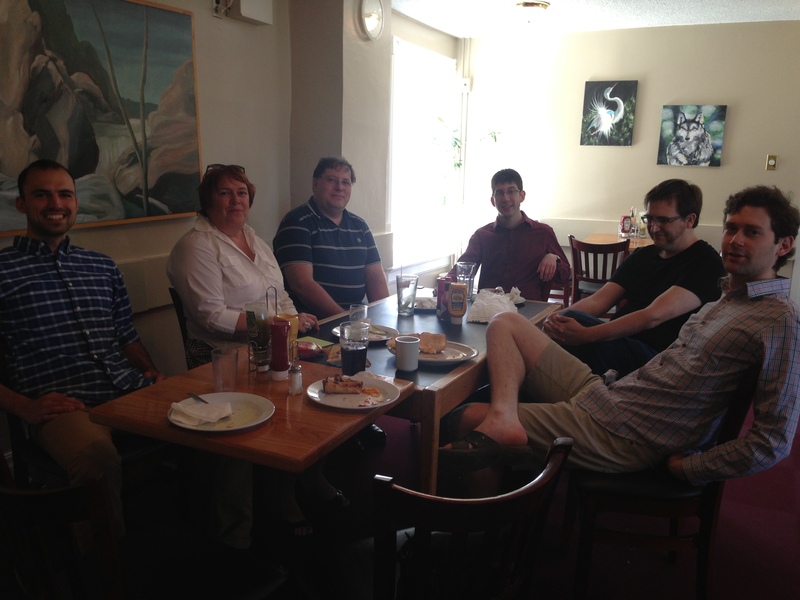 Many of the graduate students attended the lunch to show their gratitude for all the wonderful things that Debbie does. Unfortunately, our other extremely fabulous colleague, Vicki Brett, was unable to attend the lunch, but we would also like to thank Vicki for all of her ongoing support and hard work in the department. Thanks Debbie and Vicki! We’ll have several people from the Department giving talks at the upcoming CPA June 2 to June 5 — I won’t be there myself, but I’ll be sure to get a full report from our attendees. Here you can check out the program and other info. 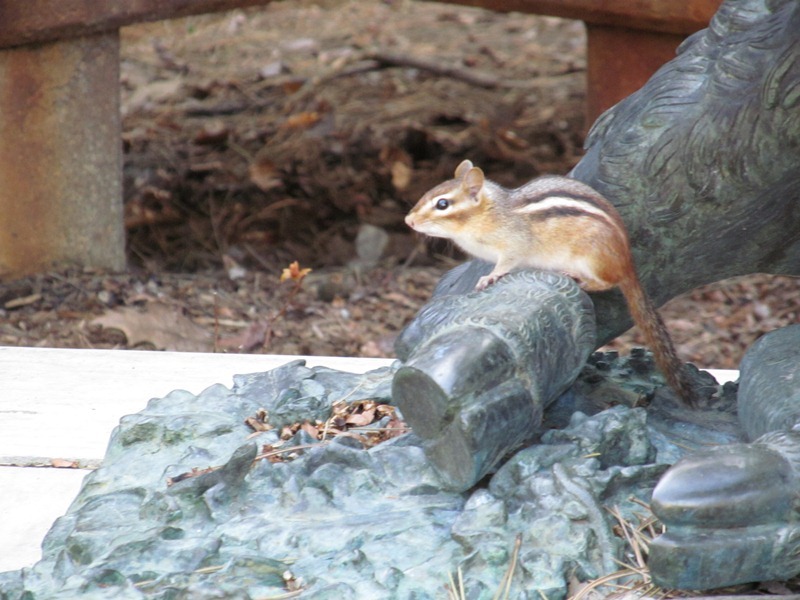 A chipmunk checks out the pig in front of the Modern Languages building last week. Thanks to Vicki Brett for the amazing photo! On Monday, graduate student Wendy O’Brien successfully defended her PhD thesis: Simone de Beauvoir and The Problem of The Other’s Consciousness: Risk, Responsibility and Recognition. We were very pleased to have Beauvoir scholar Margaret A. Simons joining us as the external reviewer. Thanks very much to Margaret for coming all this way, and our warmest congratulations to Wendy! In other graduate student news, one of our students, Rosalind Abdool, presented a component of her doctoral work on “Morality and Deception in Mental Health” at the World Congress for Psychiatric Nurses on May 3rd in Winnipeg. “It was an excellent experience discussing challenging philosophical ideas with nurses and healthcare workers who are constantly faced with these kinds of ethical dilemmas!” says Rosalind. Rosalind also travelled to Calgary April 30-May 1st for the Catholic Health Alliance of Canada Ethicist Workshop where she engaged in conversations with ethicists from across Canada to discuss the future of Catholic health ethics in light of ever increasing diversity and healthcare and technological changes. Heather Douglas tells us she has been appointed a Fellow of the Institute for Science, Society and Policy at the University of Ottawa. Congrats, Heather! She was also recently quoted in a recent article in MacLean’s on Canadian science policy. It’s always great to hear about philosophers in the news. Dea is an advocate for under-represented groups in academia and in the community. She is chair of the Canadian Philosophical Association Equity Committee, sits on the board of directors of Planned Parenthood and served as co-chair of the Waterloo Take Back the Night committee. Dea is an effective and courageous spokesperson on gender issues. She leads by example and acts to support and advance women’s issues in Kitchener-Waterloo.